ABSURD PERSON SINGULAR BY ALAN AYCKBOURN. We meet their ‘friends’ at this first shindig, Eva and Geoffrey – Eva a manic depressive (played by Charlotte Hobbs) driven to despair by her husband’s philandering ways and Geoffrey, (played by Oliver Harris) the charismatic, yet totally inconsiderate player, who treats his bear of a dog, George, better than he does his wife! What ensues is a series of misunderstandings, misapprehensions and mistreatment that really tests the ethos ‘all comedy is based on pain’! Funny, moving, bizarre and downright ridiculous, this comedy is sure to appeal! Whatever your sense of humour – it’s covered here! ‘Set in a disused warehouse in Gangland London, this modern interpretation of the Shakespeare text is bloody, malevolent, sadistic and downright nasty… a Halloween treat with a definite sting in its tail! Duncan is top dog of the most vicious gang in London. He is revered and feared by all members of his gang, especially the young and talented upstart Macbeth. Macbeth is a nasty piece of work but he is a ‘doer’ not a ‘thinker’ and has no dreams of ambition or glory – he just likes killing people. 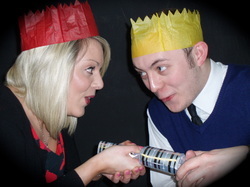 It’s his girlfriend Lady Macbeth who is the conniving, scheming and ruthless part of their relationship. She sleeps her way to the top and wants to be on the arm of the most powerful man in London. Directed and Produced by Workshop stalwart Lisa Hamilton-James and starring workshop members aged 8 to 48, this production of Macbeth is geared towards encouraging the younger generation to embrace Shakespeare and relate it to their modern lives. ‘Moist Von Lipwig was a con artist, a fraud and a man faced with a life choice: be hanged, or put Ankh-Morpork’s ailing postal service back on its feet. With the help of a Golem who has been at the bottom of a hole in the ground for over two hundred years, a pin fanatic and Junior Postman Groat, he’s got to see that the mail gets through. In taking on the evil chairman of the Grand Trunk Company and a midnight killer, he’s also got to stay alive. Elena Flanagan, Lily Bennett, Evie De La Torre, Pip Pollock, Isabella Rockey, Alfie Constable, Sofia De La Torre, Olivia Smith, Lali Baird, Nadia Johns, Zamira Fuller, Saule Bauyste, Amy Baker, Olivia Coombs. 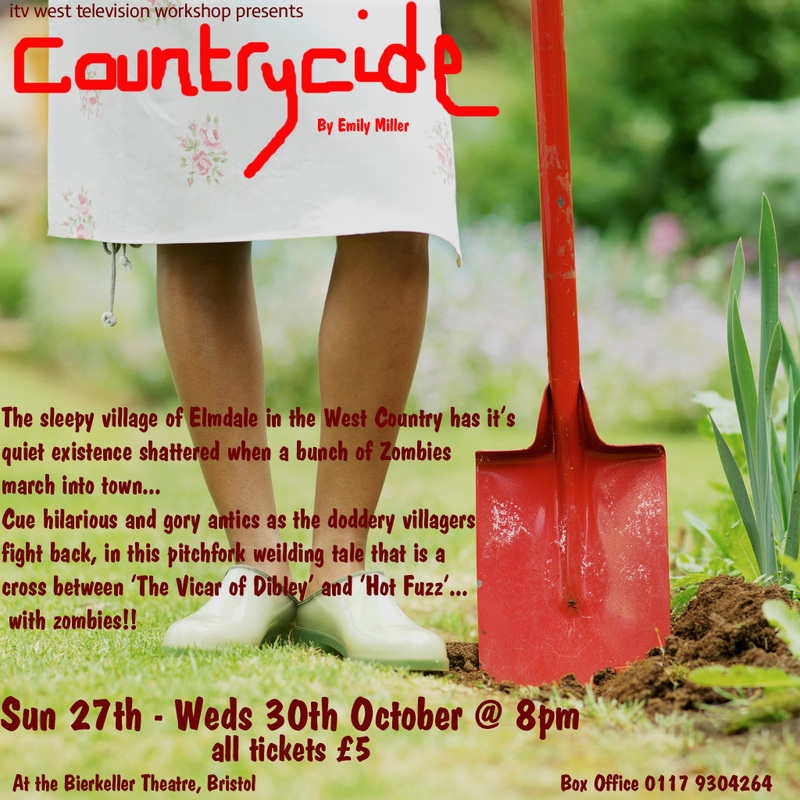 Cue hilarious and gory antics as the doddery villagers fight back, in this pitchfork weilding tale that is a cross between 'The Vicar of Dibley' and 'Hot Fuzz'... with Zombies!! !